The host was super nice and helped us with all of our needs. She helped us find local markets and where to walk. She also left us fresh fruit from her garden and snacks. The pictures don't do the apartment justice. There's incredible views of the water through the huge windows. There is a great kitchen to cook in and many beds. We had 5 people and there was plenty room. The host was flexible in our check out and she stored our luggage. Carla & her father meet us at the bus stop & took us to the property. Upon entering the property, it was a "wow" factor. With beautiful vistas, a beautiful property & lovely hosts. We thoroughly enjoyed our time here. Thank you Carla! Carla (the host) and her father are amazing, greeted us upon arrival and helped us with everything we needed. Place was spotless, had amazing views ! Carla was wonderful and very helpful! The views were amazing. Villa was very clean and had everything a group of friends could ask for.........even had fresh, organic lemons and tomatoes. I would definitely come back!! This property over-delivered. It was spotless and our host were very accommodating. Bus to in we city was outside our door. Wonderful property right on the bus line with easy access to the city center. The apartment was clean, well equipped , cozy and comfortable. I have no complaints ! Kitchen was lovely and had all the essentials for cooking your favourite Italian meal. Grocery store nearby which was very handy! Views from big windows were incredible. Family, who ran the business, lived nearby. Readily available if and when needed. 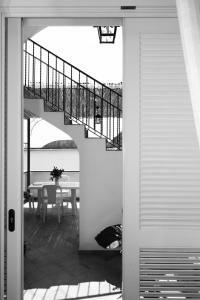 Close to stairs leading to central positano. 5 to 10 min walk down. 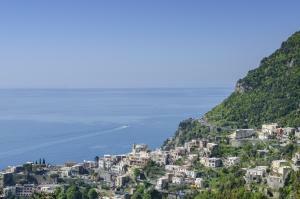 Bus stop conveniently in front of apartment building to downtown positano and other areas on the amalfi coast. I’d go again and highly recommend casa sette ! Salvatore was a most hospitable host, very personable and easy to converse with. He recommended some good restaurants and activities while we were there. 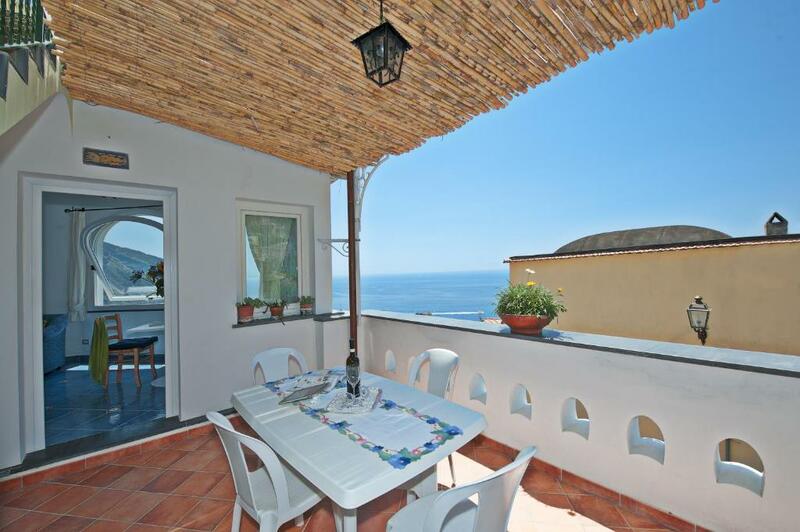 Lock in a great price for Casa Sette Mari – rated 9.7 by recent guests! 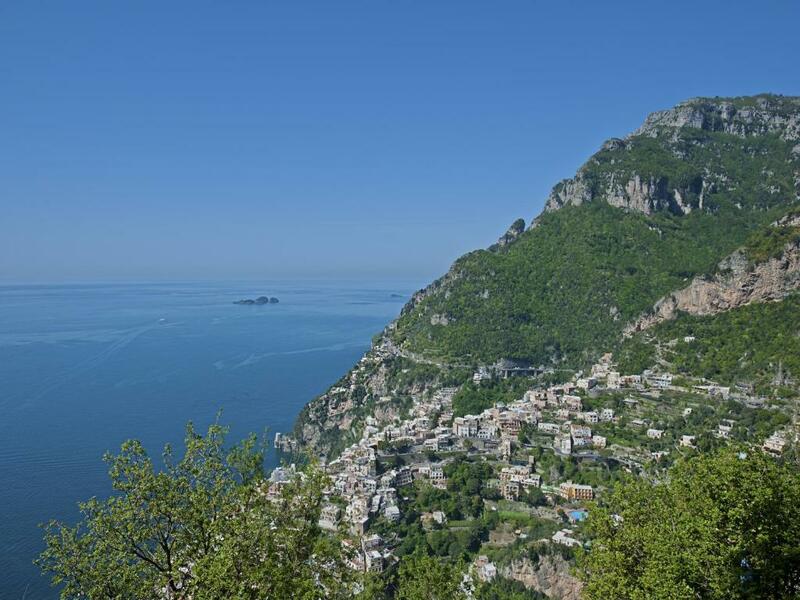 Located 0.6 mi from the center of Positano, family-run Villa Settemari is a 5-minute drive from the Amalfi Coast. 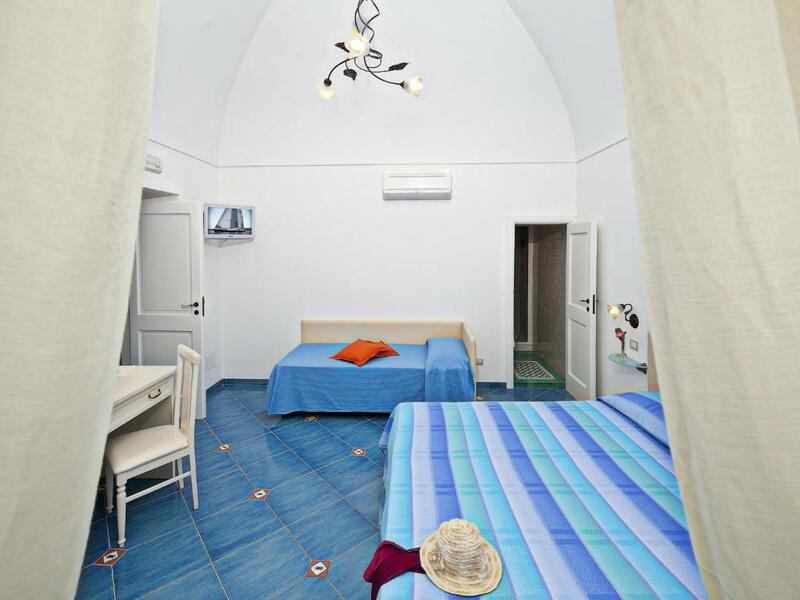 It offers free Wi-Fi and air-conditioned accommodations with views of the Tyrrhenian Sea. . 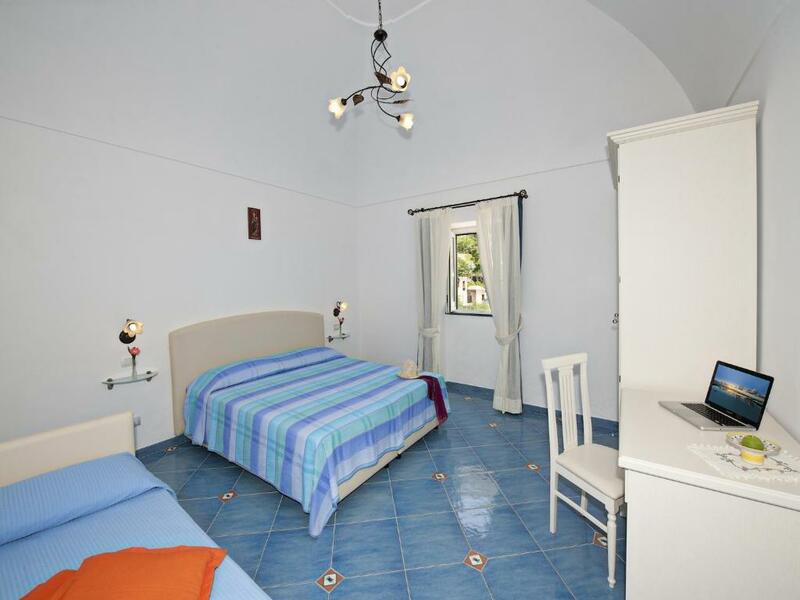 The classic-style apartment at Villa Settemari come with a fully equipped kitchen with a dishwasher, a flat-screen TV and tiled or marble floors. It is complete with 3 private bathrooms. Free on-site parking is possible nearby. 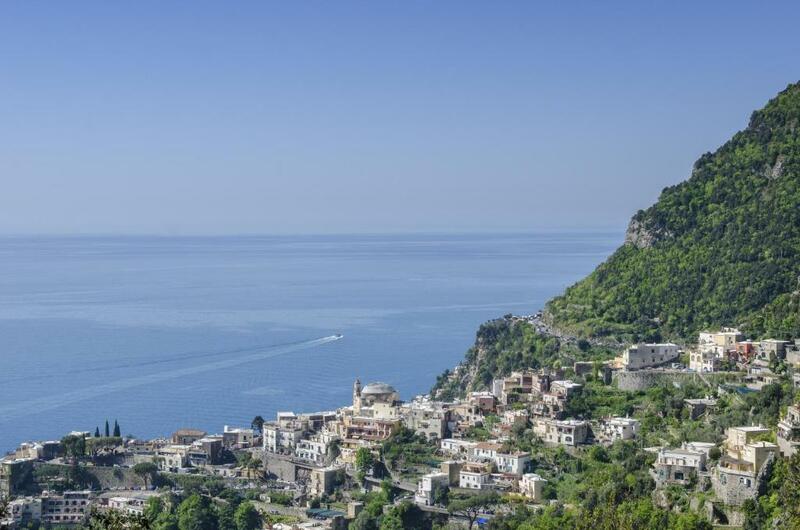 A bus stopping 1,000 feet away has links to the Amalfi Coast. Sorrento is a 20-minute drive from the property. 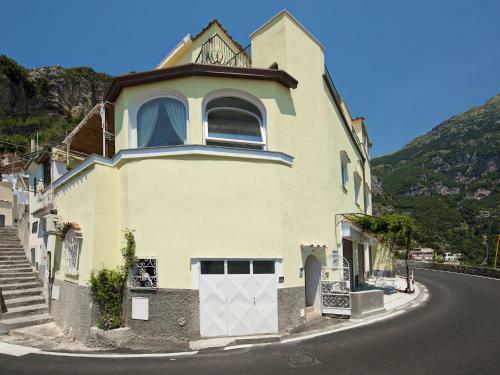 This property is also rated for the best value in Positano! Guests are getting more for their money when compared to other properties in this city. 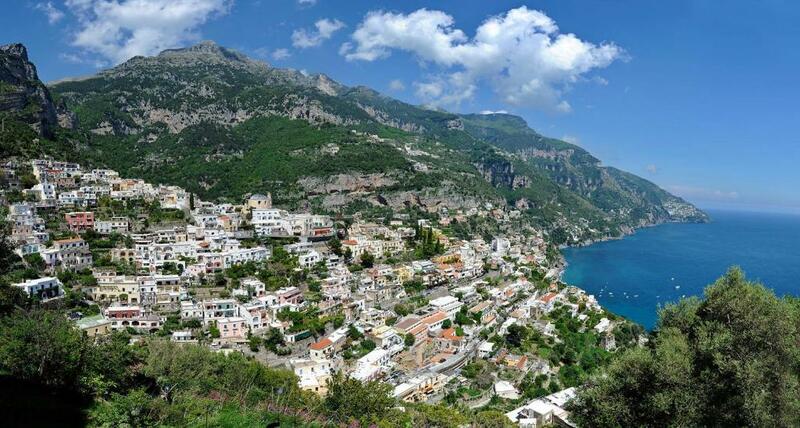 뀐 Located in the top-rated area in Positano, this property has an excellent location score of 9.1! When would you like to stay at Casa Sette Mari? Offering views of the sea and free Wi-Fi, this air-conditioned apartment comes with a fully equipped kitchen with a dishwasher, a flat-screen TV and tiled or marble floors. The private bathroom includes a hairdryer and free toiletries. House Rules Casa Sette Mari takes special requests – add in the next step! Casa Sette Mari accepts these cards and reserves the right to temporarily hold an amount prior to arrival. Please inform Casa Sette Mari of your expected arrival time in advance. You can use the Special Requests box when booking, or contact the property directly using the contact details in your confirmation. The location was noisy during the night with lots of cars tooting their horn which woke me up constantly. A little far from the centre of Positano. Steps outside our front door allowed for a fifteen minute walk to the town centre/ beach. The return walk would be a challenge for children and elderly. However the bus did run frequently so not really a problem. 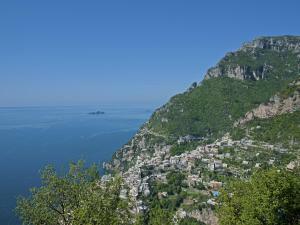 Beautiful views of Positano and Amalfi Coast. Very well equipped spotless three bedroom, three bathroom apartment with lovely terrace. Everything required was available. Our family really enjoyed our stay. Fresh tomatoes and lemons on arrival from our host. We cooked dinner every evening in the well equipped kitchen. Bus stop right outside our door to take us down to the centre of Positano. Just a ten minute trip down the hill. We would love to return again. The apartment is a long walk up from the beach, but there is a convenient bus stop and market nearby. Property is a little noisy with road traffic, but with everything else being a "wow" factor (& with some ear plugs), one tends to overlook it. It's also at the top of the hill so a lot of stairs to descend/climb but with the views, who cares.... & it's exercise! Lovely family, wounderful house and beutiful Positano! Only 6 table chairs when apartment sleeps 8 and there was 7 of us. Showers not so good but we managed . The apartment was very clean ,ensuites in every room ,facilities excellent. The fabulous welcome from Carla and her family, nothing was too much trouble, she answered all our requirements. 1st class service. Very kind and considerate hosts. It was a bit noisy in the mornings in the master bedroom as it faces the road but this would be an issue in most places in Positano The two other rooms were much quiter though. The hosts, Carla and her father, could not do enough for us, from researching taxi prices to Naples, advising on left luggage options in Sorrento to dropping us off after check out at the bus stop. The rooms were huge and the views from the living room and master bedroom simply stunning. The apartment is right outside the bus stop. The hosts were absolutely amazing. They were available for everything we needed. The property was spectacular.... they could not do anything to improve it. This was the best place we have ever stayed in. If we could rate it higher, we would! This was one of the most amazing place I have ever stayed. It was so spacious, the views were amazing, all the facilities worked beautifully. To top it all off, the owners were so gracious and kind to us. I fell sick one night, and the next morning the owner drove straight away to me (without even asking) and took me to the pharmacy, paying for parking, and making sure the pharmacist took care of me before driving me back up to the house. I have never met lovelier people, and I am so grateful that I stayed at Casa Sette Marie! Such an amazing experience.